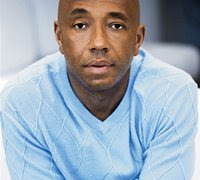 Celeb Tweets, Russell Simmons: Yoga Meditation. Parties. Vegan Eats. KFC. First Tweeting day: "Hahahaha I'm here uncle russ last but not least!! !2:24 PM Mar 25th from TwitterBerry "